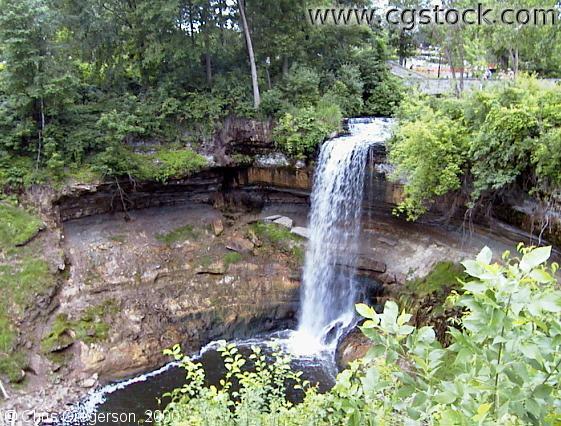 This is Minnehaha Falls, in Minnehaha Park. The water source is Minnehaha Creek, which was low when this picture was taken. The creek below empties into the Mississippi River, which is nearby.